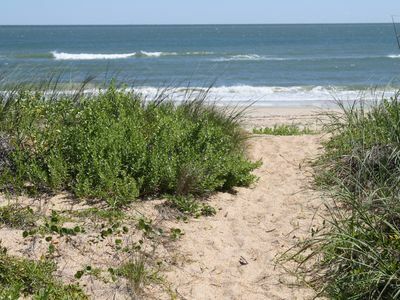 We are 10 minutes from Historic Ole Town St Augustine, the nation’s oldest city. St. Augustine's celebrated its 450th Birthday in 2015! Visit Ripley’s Believe it or Not, Historical Museums, Flagler College, the famous Castillo DeSan Marco Fort, St. George Street and all of its shops and open air restaurants. 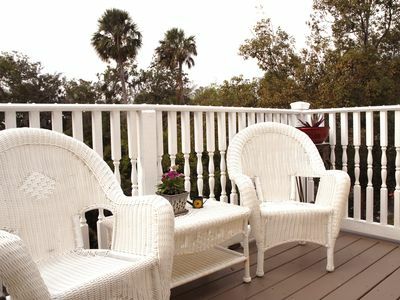 The Alligator Farm, The Fountain of Youth, Potters Wax Museum, Ghost Tours, Romantic Horse Drawn Carriage Rides and San Sebastian Winery which features nightly music & lots of wine tasting. St. Augustine Beach Pier & the Farmers Market/Craft Show every Wednesday morning, and the St. Augustine Amphitheater hosts top named world famous music acts. 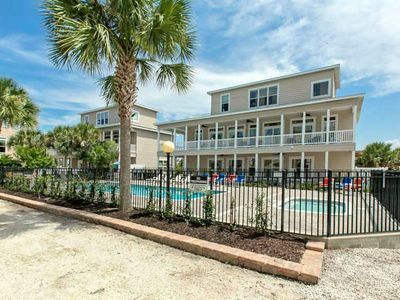 Major grocery chain (Publix) and many other local conveniences, probably everything you could possibly need are minutes away. 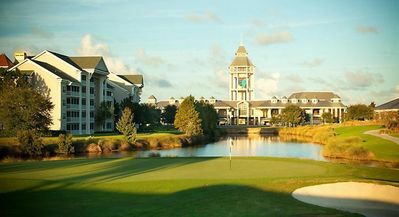 Local public golf courses are just minutes away and the world famous World Golf Village just 20 minutes north. 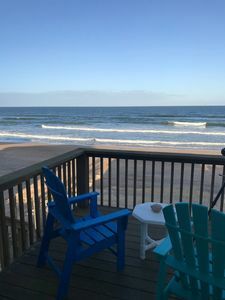 Orlando/Disney attractions are 1.5 hours south, famous Daytona Beach is 30 minutes south, featuring 3 major annual events, Biketoberfest, BikeWeek and the mega Daytona 500 races (approx 30 minutes away). 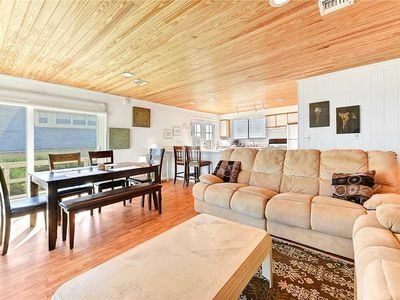 We are completely remodeled inside and out, our home is available for immediate rental. 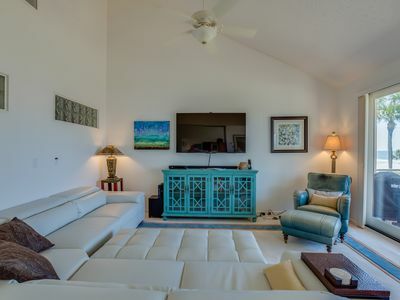 It is fully equipped with hi speed internet, 3 televisions, and tastefully furnished. 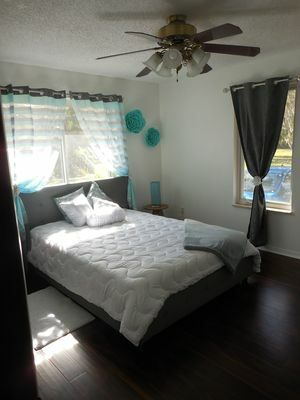 Featuring 4 bedrooms / 2 are private master suites. 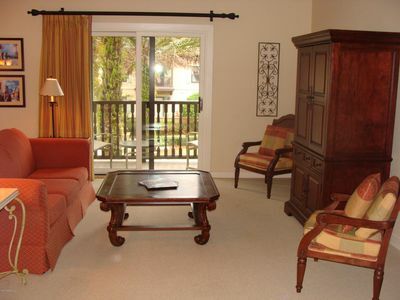 The downstairs master bedroom has a covered porch. Upstairs master has an over-sized viewing balcony. New Washer/Dryer in our Laundry room, 3.5 baths, gleaming wood floors downstairs, full kitchen, private back yard and a detached 2 car garage. 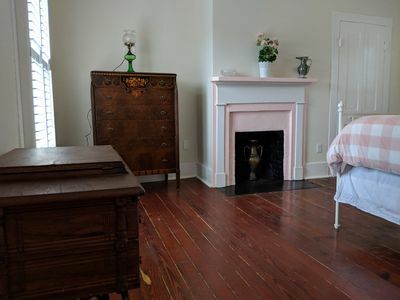 This home has beds for 8 but can easily sleep up to 10 people with the use of an Aero bed and large cot that we have available..
We’d love to host you. 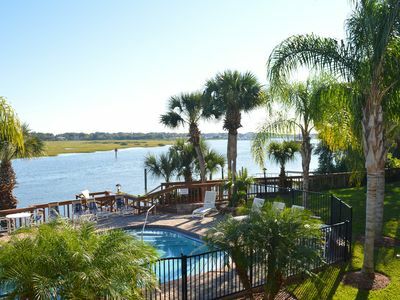 We live about 40 minutes away, and care deeply about offering the best vacation experience for you and your family. 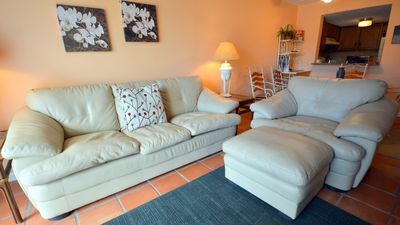 We are a family orientated vacation rental offering a wonderful home to enjoy just steps from the beach. This is not a "Party House", PLEASE respect the quiet hours of our neighbors. 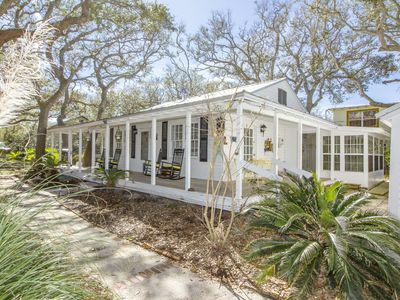 Atlantic Hideaway - 100 yards from the beach! 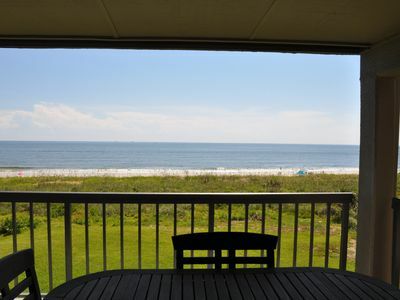 250 Feet Oceanfront Property-Gorgeous Pool and Private Garden!!! 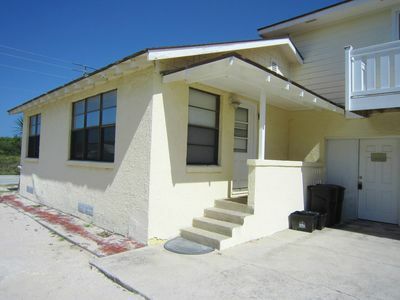 3/2 Charming Beach Home - Sleeps 8 - Fenced Yard - Great Price!!! 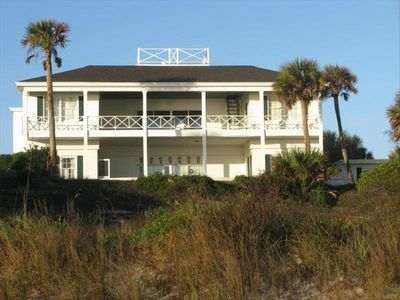 OCEAN FRONT HOUSE steps to the beach! Completely fenced in! 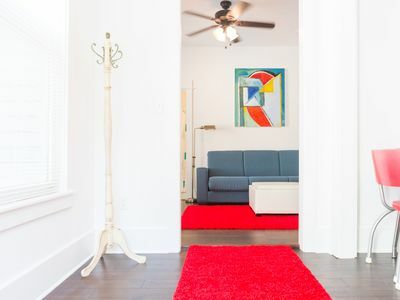 Pet-friendly apartment two blocks from Historic District in an 1880's home! 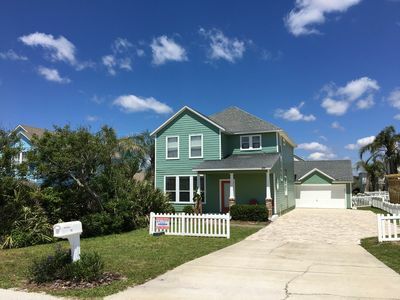 Gorgeous 4 bed/2 bath home w/pool on 13 ac. 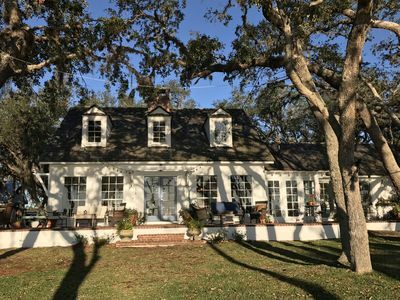 horse property, St. Augustine. 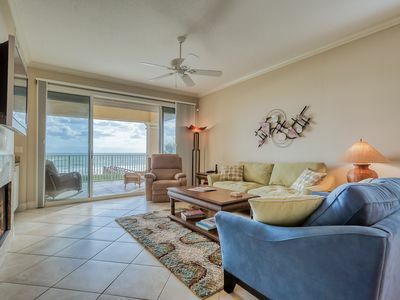 Luxury Condo with Spa, Amenities and Golf CourseBeautiful fully furnished space.